I qualified as a Chartered Accountant in 1989. I initially worked for Arthur Andersen in Manchester before moving to work in industry for BP. I then moved into the financial services sector before making the transition to Finance Director of Birchall Blackburn Law. Qualifications and professional achievements: BA(Hons) Accountancy & Financial Management, I am also a Member of the Institute of Chartered Accountants of England and Wales (FCA). Personal Accreditations: Associate of the Institute of Chartered Accountants in England and Wales. How did you end up working for a law firm? 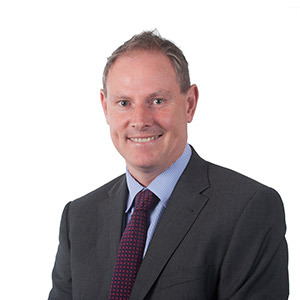 I was approached by Birchall Blackburn Law, who had experienced rapid growth in the period leading up to my appointment in 1995 and recognised the need for disciplined and forward thinking financial management to prepare the business for a new age of legal services. Unusual fact: I am a low-handicap golfer and talented footballer who somehow managed to slip through the talent net!